Thankfully the horses remain in great form and it was a pleasure to see Thebannerkingrebel win his 2nd bumper from as many starts when he won with a penalty at Bangor last week. He was very impressive as quickened up twice and he’s now won both his races pretty much ‘hard held’. Gavin reported that he’ll be even better on better ground and he’ll go straight for the Champion Bumper at The Cheltenham Festival now. The dream is very much alive for a second Festival success. Thebannerkingrebel makes it two from two and heads to the Festival. Talking of Festival prep runs, I was delighted with Dans Le Vent who was 3rd at Market Rasen in an EBF qualifier under his penalty. He was only beaten 3 lengths giving the winner 9lbs, and I know Dan will improve when going up to 3m, and on better ground as well. He is in the Albert Bartlett and the Ballymore, and we’ll decide if we go for the 3m novice or if we head to the EBF final, alternatively we might just run in another ordinary novice and then aim for the Grade 1 Sefton at Aintree. Dans Le Vent might be one for the Sefton at Aintree. 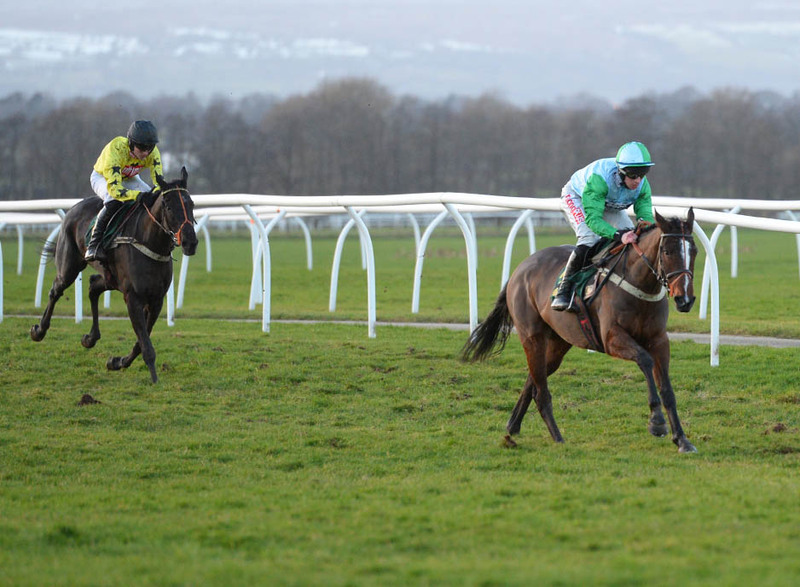 After winning his novice chase at Catterick, I was looking at aiming Three Ways for the NH 4 mile chase at The Festival, however he fell at Newbury on Saturday. He made a noise there and we’ll have to give him another wind op now. We’ll therefore have to see if we can get him to Cheltenham or if we look towards Aintree with him as well. Of our other recent runners, Lostnfound was 2nd under her penalty at Lingfield. I don’t think we lost anything in defeat and were beaten by a mare with a better turn of foot than us from the back of the last. The winner finished 6th in the German Oaks, so is certainly no mug. Bumper winner, Thistle Do Nicely hated the bottomless ground at Newbury in the Listed Bumper there, and we’ll put a line through that run and wait for the spring with him now. He’s a decent horse and certainly has a future, but we’ll be patient with him.